Here is the last and final preview of the ‘Home Remedies’ e-book. 1. Diseases and their home based remedies. 2. What to eat and what to avoid. 3. A list of wonder foods and their benefits. 4. A number of recipes using the above wonder foods as ingredients. Please spare a few moments to have a look at the final preview and let me know. I am in the process of providing the final touches before I upload next week. This is going to be the first major product launch for me after almost a year of back breaking work. Similar to my last post, this one also relates to how to rectify an upset stomach using simple remedies which can be easily prepared at home. The stressful life that we lead, the junk food that we consume and the contaminants and pollutants that go into our system on a regular basis are some of the causes of an upset stomach. Our stomach is that part of the body which is abused to the maximum extent. 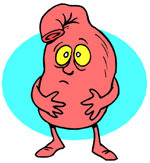 We keep on eating anything and everything and depend on our belly to do the rest but sometimes it fails. A strong digestive system is an essential prerequisite for a healthy body because it is the source of life giving energy. Now let me jot down the remedy. Consumption of a tsp of salt and few lemon drops with 1 glass of lukewarm water helps in the relief from loose motions. See? So simple! That’s how it is. You can refer to my previous post also. Day before yesterday I was hit by a sudden bout of stomach pain. I thought it would go away on its own but that didn’t happen. I knew something was horribly wrong with my tummy. Soon I started suffering from loose motion and I was running to and fro from the bathroom. Not once, twice or thrice but eight times I had to rush to the loo. I was extremely exhausted and dehydrated and was about to rush to the doctor when my grandma suggested a simple home remedy. Take equal portion of powdered sugar and grated nutmeg (jaiphal) and mix properly. Take 1 tsp of the dry mixture 3 to 4 times a day. If the problem is severe the dosage can go up to 6 to 7 times a day. You may feel drowsy due to the effect of the nutmeg powder. It worked wonders! The problem disappeared within a few hours. I also recovered from extreme exhaustion very fast. It is really a pity that nowadays we don’t have the wisdom which our parents or grandparents had. Most of the common ailments which we suffer from can be cured by very simple remedies that can be prepared at home. I have made up my mind to start doing some research on this.